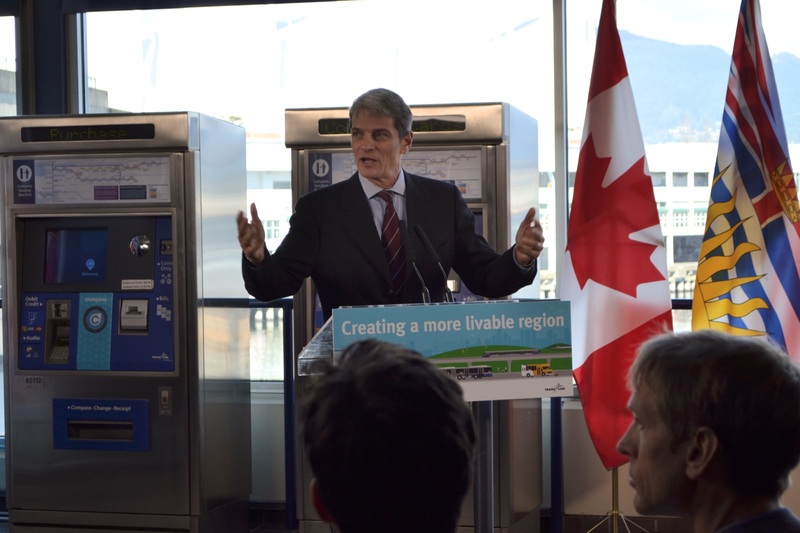 The Buzzer blog » Announcing one of the largest transportation investments in Metro Vancouver history! In 2017, ridership in Metro Vancouver reached a record-breaking 407 million boardings! This investment will ensure we can continue to meet the needs of transit users in our region both today, and into the future. Our region continues to grow, with our population expected to increase by one million people over the next 30 years, and we know transit ridership will continue to grow along with it. The Mayors’ Vision will ensure the effective, efficient movement of people and goods, and maintain our status as one of the world’s most livable cities. By the time we’re finished Phase 2, we will have added more than 900,000 hours of new bus service in Metro Vancouver, and will have made space on rail service for 60 per cent more people during rush hour. It goes without saying (but we’ll say it anyways) that we are very excited about this announcement and what it means for the future of transit in Metro Vancouver. We’re working hard behind the scenes with the provincial and federal governments to finalize all details of this plan. Stay tuned for more information or grab the full press release on our website. Ugh, but Surrey LRT.. Really? Can’t we just start with a properly implemented BRT system first? So much cheaper and same benefits! If we need the extra capacity in the future, the right of way should be able to be converted to LRT. I agree Jordan. These politicians and CEO just want a legacy project. Who cares if it will not give one iota of advantage over BRT. Taxpayers be damned. Oh how I love all the Buzzer Blog love for Metrotown Station now being fully open (work on the grounds continues).